This very special Beadventure, led by experienced tour leader Doris Coghill, will take you to the Czech Republic, the heart of beadmaking. Here you’ll learn about the long history of glasswork and beadmaking. 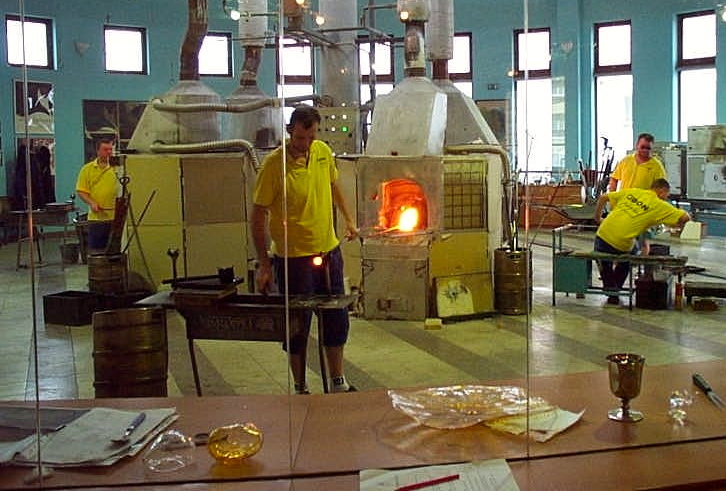 You’ll experience where and how Czech glass and beads are made and about the people that make them. You’ll experience the local people, their customs, and their love for beads by visiting museums where you’ll learn about the history of beadmaking, how it was done 100 years ago compared to today, and how the glass industry impacts the local culture. There will be ample opportunity to buy both new and antique beads to add to your collection and to buy finished jewelry made with the locally made beads. Christa, our guide in Jablonec, promises several special not to be missed surprises along with a peak at her personal collection of beads. The exact dates will be confirmed by mid-2019. The following is a sample itinerary from a recent trip and the 2020 trill will be very similar! Day 1. Arrive in Prague. 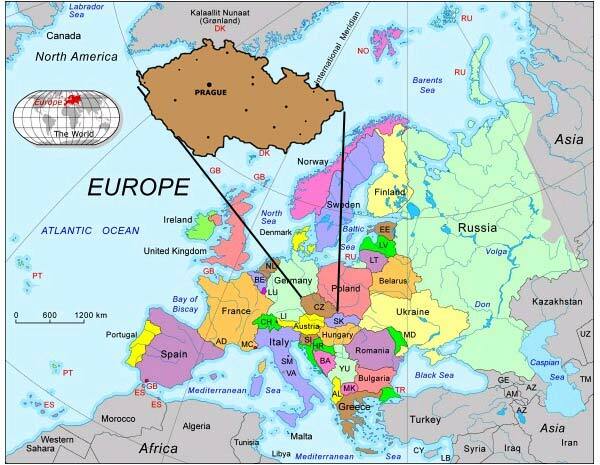 Today you will arrive in Prague (Václav Havel Airport--PRG airport code). 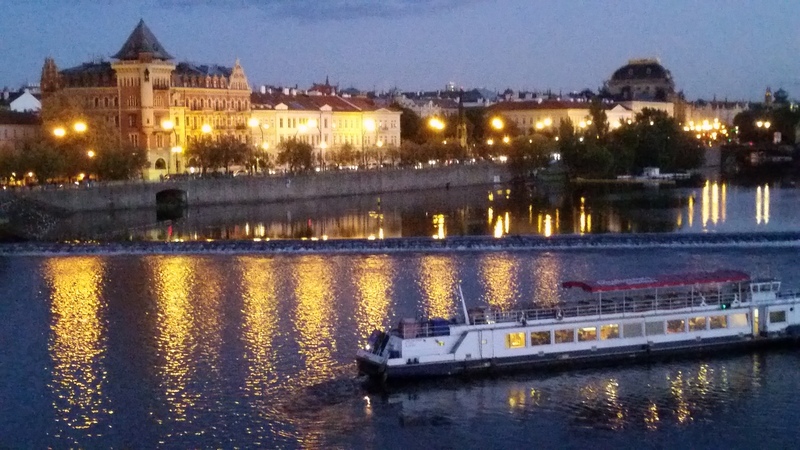 With some six hundred years of architecture virtually untouched by natural disaster or war, few other cities anywhere in Europe look as good as Prague. Upon arrival, you will take a taxi to our hotel in the Old Town District. Depending on your time of arrival, you can relax or enjoy the architecture, shopping, and markets located down the many cobblestone streets near our hotel. We will gather for a welcome dinner (included) and a short walking tour led by tour leader Doris Coghill that will help familiarize you with the area near our hotel. Day 2. through 4. Tour Prague. We will start the day by getting an introduction to Prague by taking a bus/walking tour of the various historic districts during which you will learn the city’s highlights and decide the areas to which you may want to return for further exploration (the exact schedule will be finalized once the tour dates are set; be assured it will include ample time to expore this fascinating city on your own too). 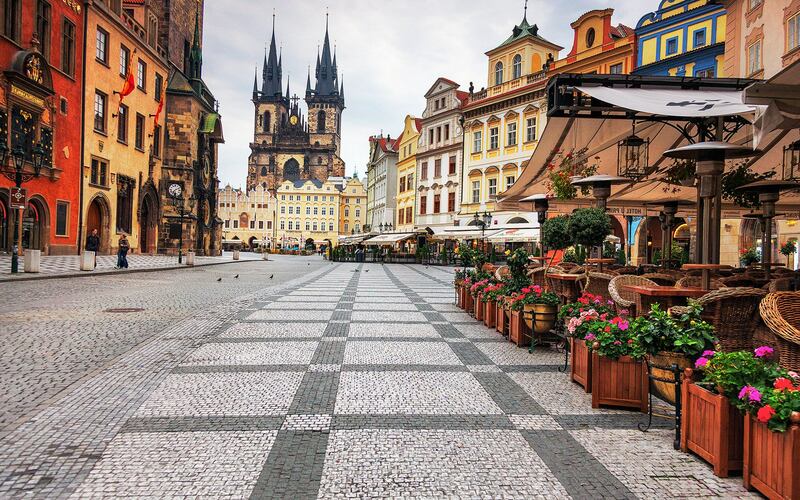 Highlights will include the Hradcany Castle district and the magnificent gothic St Vitus Cathedral, Old Town Square and its fascinating World Clock, the Opera House, and much more. Folklore dinner with traditional Czech food and entertainment. Day 5. Travel to the Heart of Beadmaking. 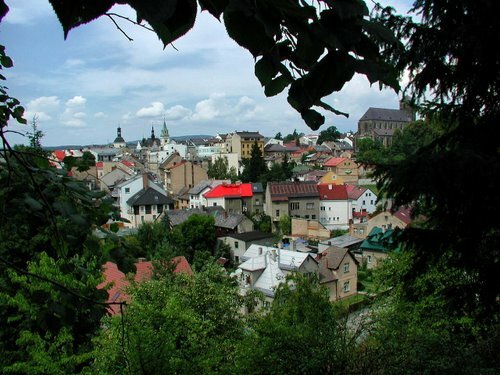 Today we will depart Prague and travel north in a private bus to Jablonec in the mountainous area that is the heart of the bead making district. There will be a stops along the way to visit the Garnet Museum as well as shopping in Turnov with lunch at a typical local pub. Upon arrival, we will settle into the comfortable Hotel Zlaty Lev for the week. The hotel is within walking distance to the downtown shopping area for this city of about 50,000. Days 6 - 13. Experience Jablonec. 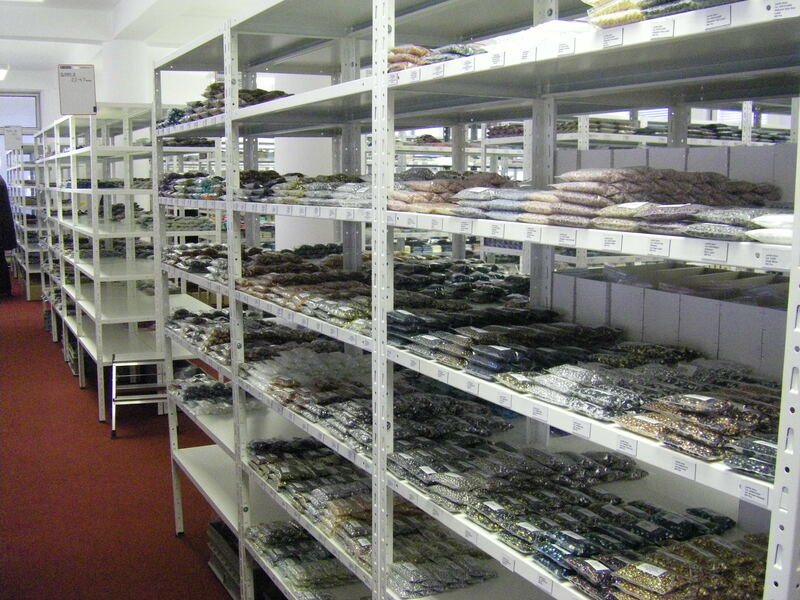 Our time in Jablonec will be about discovering where and how the local glass and beads are made and who makes them. We will learn about the local people, their customs and love for beads by visiting several museums to learn about the history of beadmaking and how it was done 100 years ago as compared to today, and how the glass industry impacts the local culture. Here you will be able to buy both new and antique beads, as well as finished jewelry. Our guide, Christa, promises several special surprises along the way, inclding a peak at her personal collection of beads and buttons. Depending on production schedule and availability, we also hope to be able to see button production, glass being etched, and bottles and vases being pressed. Day 14. Return to Prague for Departure Home. In the morning we will depart Jablonec via our private bus for the two-hour drive back to Prague where you will be delivered to the airport for your return home. It is important that you schedule your flight to leave after 12:00 noon. If you’re unable to get a flight out in the afternoon/evening, Beadventures will be pleased to provide you with airport hotel information. Doris left the corporate world in 2000 to pursue beads full-time. Since then she has spent her time being a sales representative for a bead company; designing kits and teaching them both locally and nationally; leading Beadventures to the Czech Republic, Providence, RI, Tucson, AZ and London; and growing her online business, Beads by Dee. She has also contributed projects to 7+ books by various publishers and has had many articles/projects published in leading bead magazines. She has just retired as a bead show promoter, but will still have a booth selling at several shows per year. To guarantee your spot on this trip, send in a $1,000 deposit and completed registration form. Final payment will be required 120 days prior to the start of the trip. This trip is not for people who have difficulty walking or doing stairs (many places do not have elevators). Bring good walking shoes as the group will be walking on many uneven cobblestone streets and hills.